J.D. 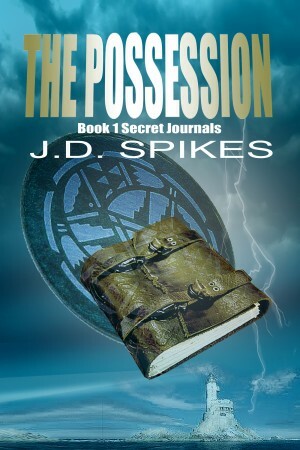 Spikes explores her fascination with the paranormal in her writing. The invisible world has fascinated me for as long as I can remember. Not the once a year Halloween treats, though they added to my cache, but stories that spoke to questions of my heart, like why some of us saw shapes emerge from the corner’s shadows and some did not. Why some of those shapes are merely imagination and tricks of the light and some—maybe not so much. Why some people can easily laugh either off and go on their way, and others of us start on a quest to find answers. In my younger years KATIE JOHN by Mary Calhoun was everything I was thinking and held the hope I had that maybe it really WOULD be a ghost and not sounds wafting up through an antiquated intercom system, since I didn’t have an intercom system. In my older years I learned it could be a ghost, but others, with less belief in the invisible world, would still try to find a physical explanation for that ‘bump in the night”. And I would continue to look for answers. I am now a paranormal investigator. Many of you have a common understanding of that title but seeing it on TV and walking through it are two very different things. Yes, I’ve been a member of a local ‘ghosthunting’ group. It has since disbanded, but I learned so much being a part of it. The members were dedicated to sifting out the truth. We used everything at our disposal to provide both the client and us with an answer or a starting point to work from. That is the basis of every legitimate group out there. So I will now tell you this: What you see on TV and think is ‘so cool’—shakes your core when you’re there. When you listen to a playback and hear a voice or voices speaking, and you know you were RIGHT THERE and never heard it? It changes your life more than any prior experience you couldn’t document. Because now you have proof. That makes you want to learn more. So, yes, I love writing about the paranormal, the invisible world, and how it ‘might’ affect . . . anyone. I will write about what could be out there and how it might choose to interact with us. I will study the invisible world and I will write about it. Because in the end I think sharing the knowledge, even that chill down the spine that unites us in fright as it goads us forward, will lead us closer to the truth. The reality of our world. A truth I need to know. Have you experienced the invisible world? Like our Lachesis Publishing page on facebook. Follow Lachesis Publishing on twitter. I shall check out her website.